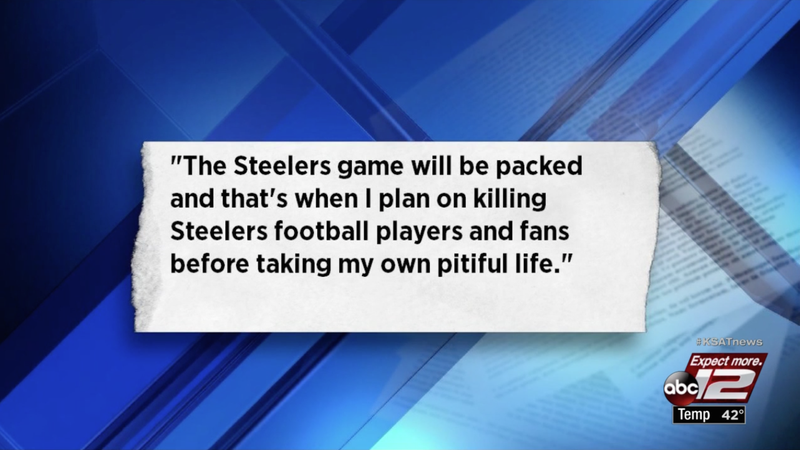 A man has been arrested after threatening a mass killing during today’s Jaguars-Steelers game. Yuttana Choochongkol, a 30-year-old man living in San Antonio, sent threats to kill himself, players and fans to a Pittsburgh television station and to the Steelers’ stadium director of security, according to San Antonio’s KSAT. He has been arrested and charged with making a terroristic threat to the public. Both threats were sent from the same IP address, which was traced to a clinical trial company in San Antonio where Choochongkol has participated in more than two dozen medical trials over the past several years. Ex-Dolphins Coach Chris Foerster Opens Up About Cocaine Video: "It&apos;s What I Needed"